Add more information to default-app, maybe some links to resources and examples? Please feel free to add input! if you'd prefer a different one, let me know! Add utm_source query param to outbound links so we can track default_app link clicks. I got a minor preference for [...document.querySelectorAll('a[href]')], but it's the same thing, so whatever you feel like! Took a peek at the code – looks good to me! Is the outstanding item to only show --interactive tip on macOS and Linux still a to-do or won't be implemented? 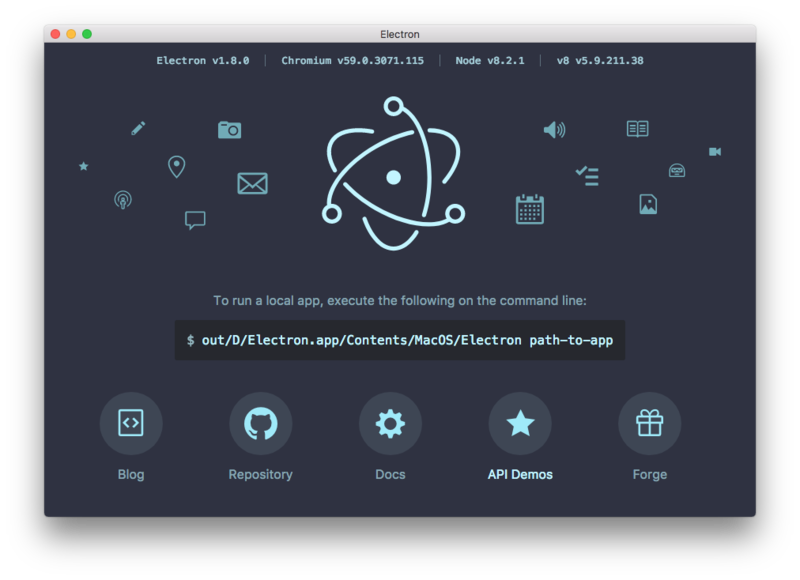 Deprecation Warning: To render the default app, the -d or --default flags will soon need to be used. By the time a user is reading this, doesn't the -d flag need to be used? hmm, maybe i can word this more clearly? I changed it (following a chat with @felixrieseberg) such that the default app still renders with no args, as well as with new -d and --default flags, and told users that the default rendering would soon disappear and that the only way to see the default app would be with the new flags so that there was a transition into the breaking change. Is there a better warning you think might convey that line of thinking? 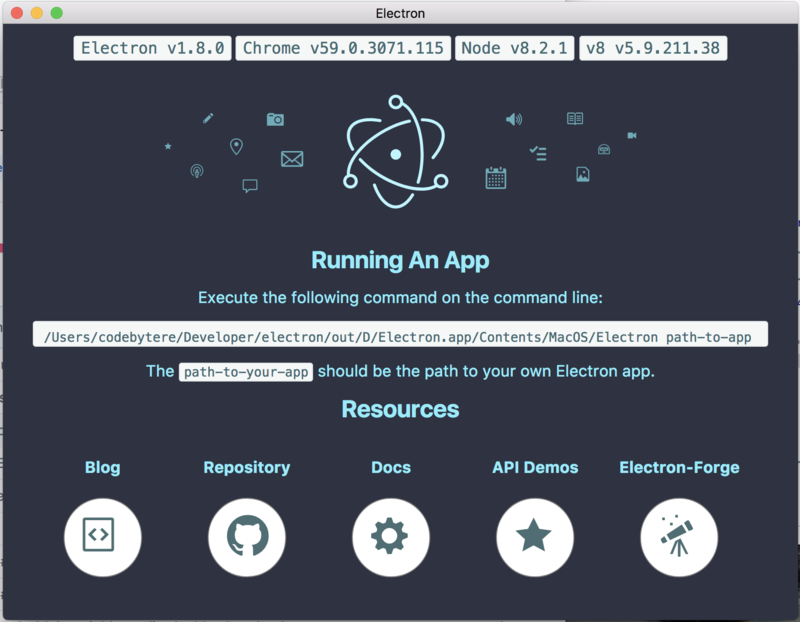 I actually didn't see this, with this change it means users simply launching "Electron.app" will not see anything, I think we should always show the default app like we currently do. Is there a reason / discussion about that change in behavior? so that there was a transition into the breaking change. hmm, that wasn't happening when i was testing locally 🤔 i discussed it with @zeke originally, just because i felt that the help information should be more of a 1st class citizen and not only available via --help flag. At the time it seemed like the best move was to move over default app and replace it with help text, but i dont see any reason we can't keep both, now that i think about it. what are y'alls thoughts?